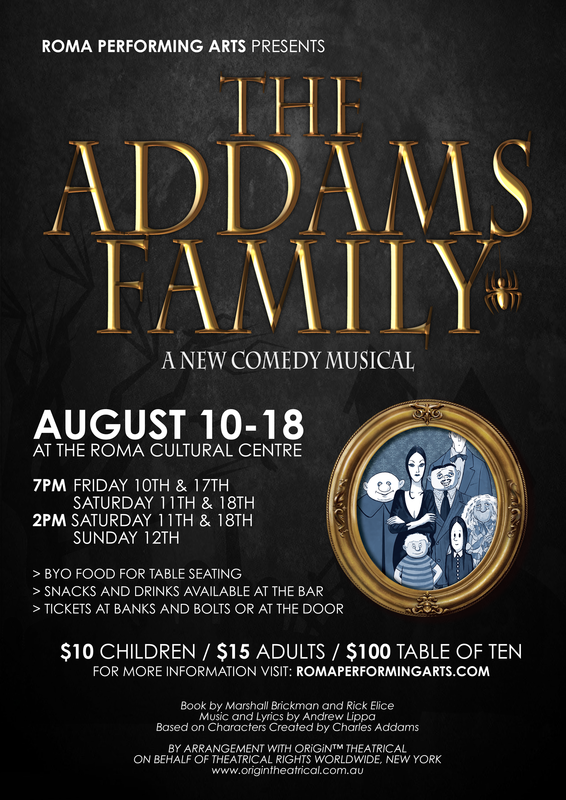 Roma Performing Arts is proud to present, The Addams Family: A New Comedy Musical, by arrangement with Origin Theatrical. Celebrate all things otherworldly with this hilarious retelling of the classic television series. 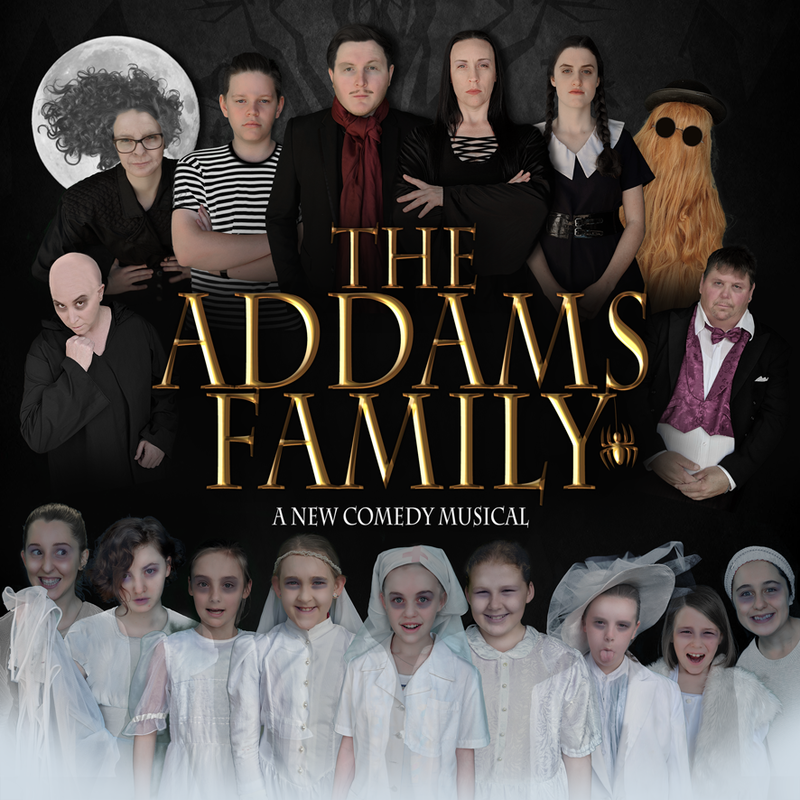 Synopsis: The Addams Family features an original story, and it's every father's nightmare. Wednesday Addams, the ultimate princess of darkness, has grown up and fallen in love with a sweet, smart young man from a respectable family -- a man her parents have never met. And if that weren't upsetting enough, Wednesday confides in her father and begs him not to tell her mother. Now, Gomez Addams must do something he's never done before -- keep a secret from his beloved wife, Morticia. Everything will change for the whole family on the fateful night they host a dinner for Wednesday's 'normal' boyfriend and his parents.